We can’t talk about ethical choices without scrutinizing how we distribute money and investments. What has this to do with being Green? If money talks, then where you place your earnings, or how you spend your money will have a big impact on the earth’s resources and capacity to sustain our way of life. There are growing opportunities to make choices in how we spend such as switching to a green energy provider, buying local, organic food, and natural cleaning products. These immediate changes could collectively send a message to retailers about the kind of supply chain we demand to see. As these options become less niche they are also becoming much more affordable and in many cases will already be equivalent or cheaper than traditional products. If there is something you regularly purchase which has not reached that point yet it could be a way to treat yourself from some of the savings you might have made in the last 6 months, whether it’s through eating less meat, saving water, energy or petrol. But what about unconscious payments? If you have a contributory pension where is the money invested? What kind of bank is lending you your mortgage? Are any loans you may have fair? It can be a minefield: the way financial systems are set up, it is difficult to have a clear picture of exactly where your capital ends up, or where your loans come from. Day 1 – understand where your money is and where it goes: draw a picture if it helps of where you think money is coming from and going to when you spend. See the link below if you need inspiration: the life of a Fiver. Day 2 – look at your bank accounts and loans and consider switching to a more ethical bank, cooperative or building society. Day 3 – write to your pension provider and say you would like to be responsible for funding only ethical companies. 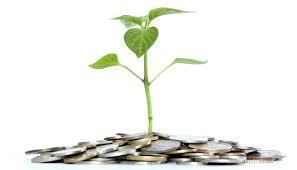 Day 4 – consider crowd-funding projects that you believe are good for society and the environment. Crowd-funding works on the principle that instead of asking a few people for a large investment, ask hundreds or thousands for small amounts – which they will do if they think your project is worthwhile. Some will have a financial return, others mean you will have a service provided that wasn’t there before, or other benefits that are not just financial. Day 5 – think about where you shop: support local people and businesses ahead of national or international chains. Known as the “local multiplier effect”, or “sticky money”, spending locally means that it is several times more likely to be reinvested in your community. If you are struggling financially, do seek help – Wilmslow has a number of initiatives such as Food Friend, the Citizen’s Advice Bureau and other counselling services.